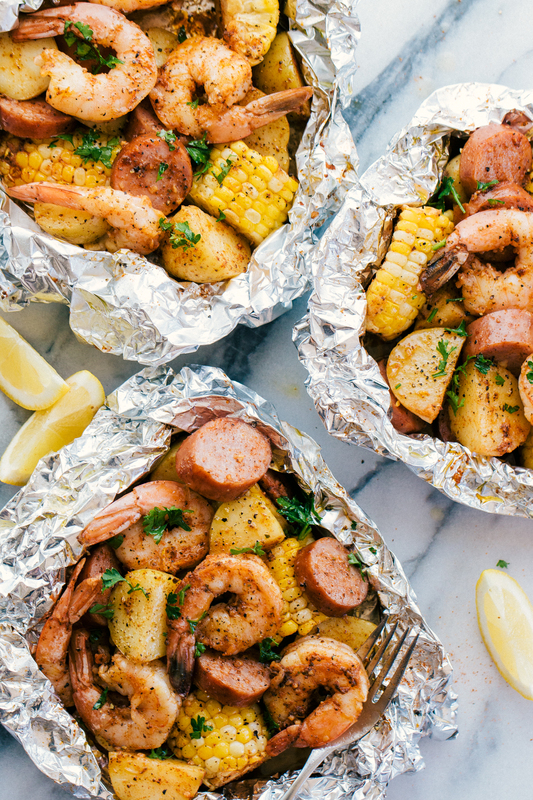 Bite into extraordinary and embrace the flavor with these Easy Shrimp Foil Packs. Served hot and ready to eat, each bite will be buttery delicious. Foil packets are such great family meals, these are some of our family favorites, garlic butter steak and potato foil packets, cheesy chicken and potato foil packs, and parmesan garlic butter shrimp foil packs. Making foil packs is the most genius meal on the planet and I have to say these Easy Shrimp Foil Packs will not disappoint. The seasoning alone is addicting and makes each bite mouth watering. 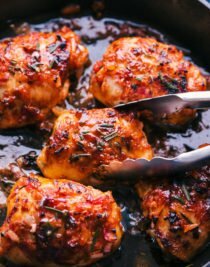 This recipe is perfect to feed a crown and a great way to spend a warm spring or summer afternoon outside eating and laughing with friends. 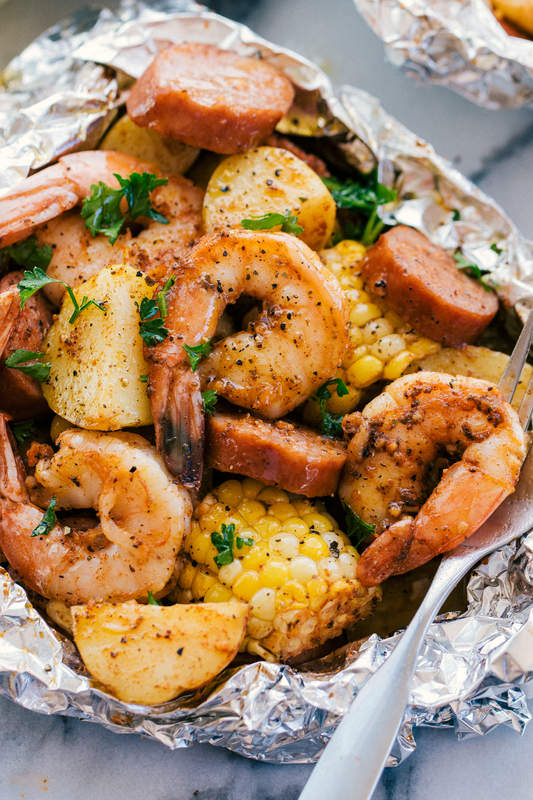 Shrimp boil foil packets can be made in the oven or on the BBQ. They are loaded with protein and the warm melted butter drizzled over the top is just the icing on the cake. How do you make shrimp foil packets? 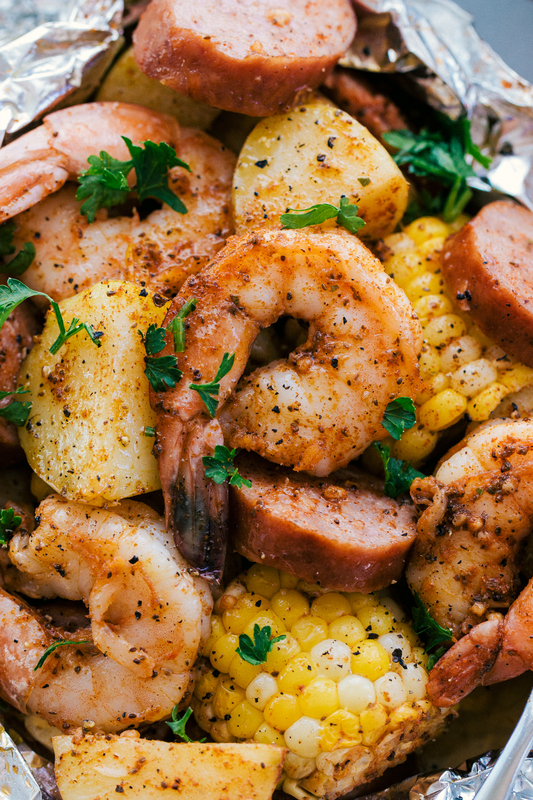 In a large bowl combine shrimp, sausage, corn, and potatoes. Stir melted butter, Old Bay seasoning, garlic, juice from half a lemon, and salt and pepper to taste together and pour over shrimp, sausage, and veggies. Stir to coat. Cook on preheated grill over medium-high heat for 8-10 minutes on one side, then flip and cook another 5-6 minutes on the second side. Serve shrimp boil packs and drizzle with more butter if desired. How long do you cook shrimp foil packets in the oven? You can bake the foil packets at 400 degrees in the oven for 15-20 minutes until corn is tender and shrimp are pink and fully cooked. How long does it take to grill shrimp in aluminum foil? Divide shrimp amongst four 12×12 inch sheets of aluminum foil. Place the shrimp in the center of the foil and top with a tablespoon of garlic and season as desired. Fold edges of foil up around the food to create a closed packet. Heat BBQ to 400 degrees and cook for 8-10 minutes, until shrimp are no longer pink. 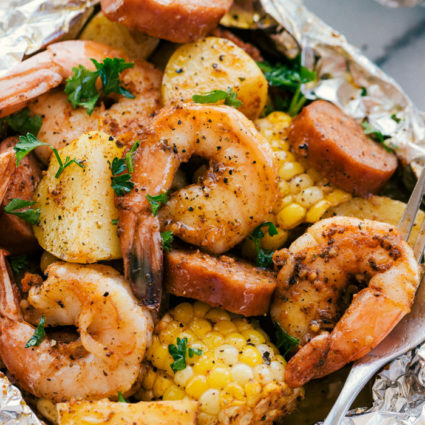 Foil packet shrimp boil is perfect for feeding a lot of people. Each pack can be shared between a couple people and are very filling. They are super versatile too. You could add different types of veggies, maybe throw in some scallops or crab legs. What is good seasoning for shrimp? In a large bowl combine shrimp, sausage, corn, and potatoes. Stir 3 tablespoons melted butter, Old Bay seasoning, garlic, juice from half a lemon, and salt and pepper to taste together and pour over shrimp, sausage, and veggies. Stir to coat. Cook on preheated grill over medium-high heat for 8-10 minutes on one side, then flip and cook another 5-6 minutes on the second side. 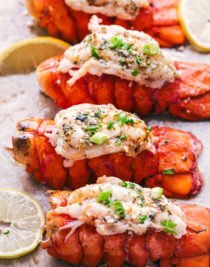 Or you can bake the packets at 400 degrees in the oven for 15-20 minutes until corn is tender and shrimp are pink and fully cooked.